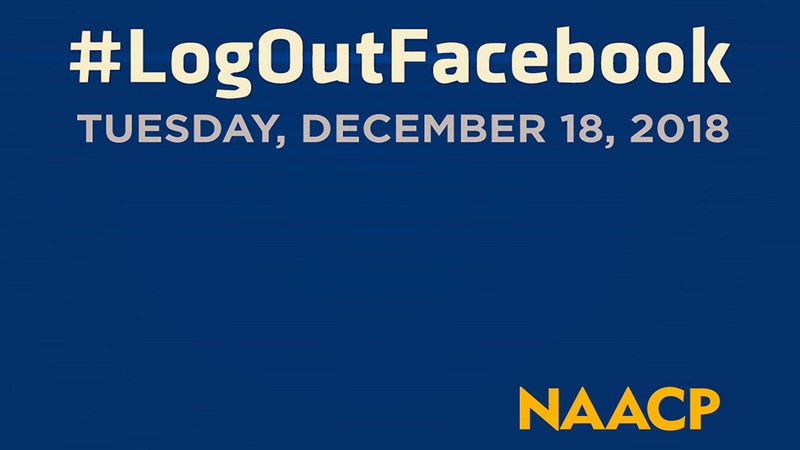 Tuesday, December 18th, the National Association for the Advancement of Colored People (NAACP) President and CEO Derrick Johnson announced a branch-wide digital protest titled #LogoutFacebook. On the official NAACP Facebook page, Johnson explained that over the last year the NAACP had concerns about user privacy and data mining. On Monday, December 17th, two distinct reports commissioned by the Senate Select Committee on the 2016 Russian Influence Campaign were released. The reports detailed the Russian Internet Research Agency’s (IRA) digital strategies around the 2016 election which disproportionately impacted and targeted communities of color, with emphasis on the Black community. “Facebook’s engagement with partisan firms, its targeting of political opponents, the spread of misinformation and the utilization of Facebook for propaganda promoting disingenuous portrayals of the African American community is reprehensible” Johnson expounded. According to a report by cybersecurity firm, New Knowledge, there was a nexus of media campaigns that targeted the suppression of both the Democratic and African-American vote. The campaigns targeted those who were inclined to research topics like Black Lives Matter (BLM), Malcolm X, and other Black politics. The strategies used were the spread of misinformation about Clinton, and the misuse of BLM imagery. On the same day, Facebook announced an update on the civil rights audit commissioned in May following the release of the two reports. “Two independent reports commissioned by the Senate Select Committee on Intelligence released Monday on the Russian Internet Research Agency’s use of technology around the 2016 election suggest that the IRA’s efforts had a disproportionate impact on communities of color. We take this incredibly seriously, as demonstrated by the investments we’ve made in safety and security” Chief Operating Officer, Sheryl Sandberg explained. In addition to the weeklong logout, the NAACP is contacting Congress to further investigate Facebook and returned a monetary donation from Facebook. To learn more about #LogoutFacebook, visit https://www.naacp.org/.